COME JOIN THE STRONGEST NATION. 4G LTE WITH BUILT-IN WI-FI HOTSPOT◊, INCLUDES 1 MONTH OR 3 GB OF DATA (WHICHEVER COMES FIRST) FROM VEHICLE DELIVERY DATE. well respected Smith was by the community and how proud he was of his family. “He was the type of person that made you feel comfortable and was generally interested in you and what you were Eric Smith doing,” said Coburn. “He was indeed a people person.” Eric Smith was born in Navan and he grew up on the family farm near the corner of Milton and Smith Roads which is named after the Smith family. His father George Smith served in the artillery during the First World War. Eric studied to become a teacher, but after one year in the profession he enlisted in the air force at the age of 20. He would end up flying 58 missions over Europe as a member of a mosquito squadron based in England and earned a Distinguished Flying Cross. After the war, Eric served as a flight instructor, but when the Korean War broke out he volunteered as an exchange pilot with a U.S. Air Force squadron, flying 50 missions over the Korean peninsula in a Sabre jet. When Eric retired from the RCAF in 1968, Eric and his wife Dinah bought a farm near Kemptville and he became a successful real estate agent. He eventually retired for good in 1991. Ten years later they sold the farm and moved back home to Navan where he was an active member of the Navan Curling Club well into his late 80s. He was a regular attendee at the local Remembrance Day ceremony including last year’s ceremony and he was a frequent guest of honour at the Orléans Legion’s RCAF anniversary dinner. Those who knew Eric often talk about his humble nature, his extraordinary memory and his love of storytelling. But most of all, they talk about his generosity, especially when it came to his willingness and genuine desire to spend time with people and get to know them. He had time for everybody and he will be deeply missed but never forgotten. Orléans MPP introduces bill to end Daylight Savings Time By Fred Sherwin The Orléans Star Marie-France Lalonde is on a mission to save Ontario’s sunshine. On April 12, the Orléans member of provincial parliament introduced a Private Member’s Bill entitled the “Sunshine Protection Act”, that if passed, would make Daylight Savings Time permanent and give Ontario residents an extra hour of daylight year round. Port Arthur, Ontario was the first city in the world to enact Daylight Savings Time, doing so on July 1, 1908. Orillia followed suit from 1911-1912. The first two countries to enact DST notatio nal wide were Germany and Austria-Hungary during the First World War. The move was aimed at conserving coal consumption. Great Britain, France and several other European countries also adopted DST during the First World War for the same reason. Most of the provinces in Canada did not adopt DST until the late ’60s when they aligned the practice with the same dates south of the border. The dates were adjusted again in 2005 after the Americans passed the Energy Policy Act of 2005.
members for the bill to become law which remains to be seen. For now, Ontario residents can enjoy an extra hour of daylight until Nov. 3 when they will have to set their clocks back an hour in time for the arrival of Old Man Winter. The Orléans Star is a bi-weekly publication distributed to 44,000 residences in Blackburn Hamlet, Orléans and Navan. The newspaper is locally owned and operated by Sherwin Publishing Inc., 745 Farmbrook Cres., Orléans, ON. 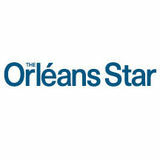 Inquiries can be made by e-mailing info@orleansstar.ca. Inquiries and delivery issues should be e-mailed to info@orleansstar.ca. Federal government introduces Climate Change Action Incentive Climate change is real and recent floods, droughts, carbon pollution in jurisdictions that do not hav forest fires and extreme heat are imposing huge eco- systems that meet the standard agreed to in the Pannomic and human costs across our country. Canadian Framework: Saskatchewan, Manitoba, Canada is one of the top polluters in the world Ontario, and New Brunswick. per capita and we have the expertise We are giving the money from and support of Canadians to change the price on pollution directly back that and become a cleaner country to Ontarians through the Climate and a leader on fighting climate Action Incentive An average famichange. We also have the chance to ly of four will receive a $307 rebate take advantage of the clean econowhen they file their taxes and the my that could create 65 million jobs Climate Action Incentive rebate Commons Corner around the world. which will leave eight of 10 Ontario Our climate plan is ambitious, effective and families better off. Amounts are based on province of makes life affordable while creating good jobs by residence on Dec. 31, 2018, and family composition. putting a price on pollution. Over the next decade Ontarians can save even more money if they we will invest more than $20 billion to support choose clean solutions (public transit, a more effipublic transit; over $9 billion to support green cient vehicle, LED light bulbs or smart thermostats). infrastructure – like clean power – in provinces and We are also providing a portion of the revenues territories; more than $5 billion for green projects from a price on pollution to support small and at Canada’s Infrastructure Bank; and over $2 billion medium-sized businesses to help them take climate for the Low Carbon Economy Fund which will be action, and be more energy efficient – this will lower used to help Canadians save money through energy their energy costs while ensuring they remain efficiency along with hospitals, schools and busi- competitive. Further, gasoline and diesel used for farming or fishing will be exempt from the price on nesses of all sizes. One of the most practical and affordable ways pollution under our approach. to cut greenhouse gas emissions and fight climate We are focused on making life affordable and change is putting a price on carbon pollution. A growing the economy – from the Climate Action price on pollution is part of any credible climate Incentive and our middle class tax cut, to the new plan: it is supported by small, medium and big busi- Canada Child Benefit and the enhanced CPP, to ness leaders across Canada, Nobel Prize winners, helping Canadians create 800,000 new jobs. If you have any questions please feel free to coneconomists and world health organizations. Our government is implementing a price on tact my office at 613-834-1800. Brunch SUNDAY APRIL 21st, 2019 From 11 a.m. to 2 p.m. Located inside the Holiday Inn Ottawa East at 1199 Joseph Cyr St.
ahead at 36 per cent. Based on those figures, if an election were held tomorrow, the Conservatives would have a 37 per cent chance of winning a majority and a 67 per cent chance of winning at least a minority, while the Liberals still have 21 per cent chance of hanging on to minority. About the only good news for the Liberals is that the election isn’t being held tomorrow. If the SNC Lavalin affair happened in September, the Liberals would be doomed. But we still have a whole summer to go along with Labour Day and Thanksgiving. A lot can happen between now and then – both good and bad. The chances of the Liberals holding on to majority status were always slim at best. The chances of them even retaining a minority government are at their lowest since they took power. If you are a glass half full person you might think that the only place left to go is up. History has taught us that while that maybe true in some instances, things could just as easily go from bad to worse. All it takes is one misstep and the glass is not looking tso full anymore. The Liberals can ill afford to make another misstep. In fact, it will take a near perfect election campaign just to hang to power. Serving the Orléans community for over 20 years. We use the very best Indian spices in all of our extravagant recipes . For take-out and delivery call 613-590-1120 Order online at www.mumbaimasalagrill.com. Come join us for a large variety of breakfast and lunch items, including a carving station and our feature dessert. And for the kids we have a build your own waffle bar and fun Easter activities for all! Keeping our community Gloucester Emergency safe requires collaboration Food Cupboard turns 30 Our community is one we are proud The meeting also highlighted the to call home. It is where many of us are importance of ensuring our police officers raising our families and choosing to grow have the resources the need to keep our old. Our community is also one of the community safe. safest in the city. For 2019, the City Maintaining this eleapproved a net operating ment of safety requires a budget for the Police proactive and collaborService of $306.5 ative approach; one that million, an increase of involves police, local $12.2 million over the community organizations, previous year’s budget. Innes Ward 2 residents, and political This funding supports support. In the past month, the east end a greater focus on community policing, has experienced two shootings, both of traffic enforcement, and investigations into which are being actively investigated by gang activity and violence against women. the Ottawa Police Service. Although no Enforcement in isolation does not injuries were reported, it is incidents such prevent crimes from occurring; community as these that drive home the need for local outreach initiatives and fulsome support residents and the police to remain vigilant. programs, which deliver help to those Last week, I hosted an Innes Ward who need it most, are essential elements of community safety meeting in partnership community safety. with the Ottawa Police Service to address To that effect, the City continues to residents’ concerns in the wake of the support and partner with Crime Prevention shootings. The message that we all took Ottawa and local resource centres to away from the meeting was that we all ensure the proactive outreach measures are must play an active role in reporting crime in place that reduce crime and build safer to police. communities. The Gloucester Emergency Food Cup- winter to make sure that the residents of board recently celebrated its 30th year Ottawa were able to navigate throughout serving the community. our city. It is no easy task to tackle the The GEFC is one of Ottawa’s largest number of roads in our city, but our and busiest community contractors and staff did food banks. In 2018, they their best. Thanks for all supported over 3,500 that you do! of our neighbours when I would like to add they needed food, 46% that when you call 3-1-1 of whom were under the to report any issues perage of 18. They provide Beacon Hill-Cyrville Ward 11 taining to snow removal, four days of groceries grading, salting, potholes, about 2,000 times per month! Thanks to catch basins, etc. that we in fact do not get the support of our community, in addition those reports directly to our offices. to non-perishable food, they were able to This is something I have been trying to provide fresh fruits and vegetables, meats, work through for some time with the city eggs, milk and other healthy choices – because it is information that all councillors enough for over 300,000 meals! should have access to, to better serve their We will be acknowledging this mile- communities. Not to mention it would help stone with a multicultural gala event for steer resources to the issues needing greater which you can purchase tickets on Friday attention. April 26 at 7 p.m. Simply visit gefc.ca to You can always contact your city purchase your tickets or you can call the councillor’s office, either by e-mail or by phone to let us know of any problems you Food Cupboard directly at 613-749-4728. I would like to extend a huge thank you see on your street so that we can action to all our roads cleaning staff who worked them immediately. That is why we are here tirelessly throughout our record-breaking for you! LARGE VARICOSE VEINS Ultrasound-guided injections will eliminate them without surgery. BROKEN CAPILLARIES ON YOUR LEGS OR FACE Eliminate them with simple saline injections. We’ve recovered thousands of $$$ for our clients. The Orléans Star 18 avril 2019 1/8 H • 3,0 x 4,8 po. A Blooming Good Deal! Get a FREE Schwarzkopf BC shampoo with every highlighting appointment in April! Book yours today! • Retractable & fixed awnings • • Aluminum & glass railings • • Repairs and replacements • • Custom projects for both residential & commercial needs • At Lalonde, we are committed to providing you with high-end products of superior quality and value that are guaranteed to provide peace of mind for as long as you own your home. Artemano specializes in unique home furnishings made from exotic woods like mango, acacia, suar wood and teak. FILE PHOTO Trainyards location. He is immensely passionate about the furniture they sell and he possesses a wealth of knowledge. And while you can purchase anything on the floor at Artemano, their specialty is in making furniture to order. You simply pick the style and type of wood and they will have their craftsmen in Indonesia, India or Thailand make it for you. Special order deliveries usually take 10-12 weeks, but as the saying goes, “Anything worth having is worth waiting for.” The best way to discover all that Artemano has to offer is to visit their showroom. You can also visit their website at www.artemano.ca. Home is an escape and we love to create it. DROP IN TO SEE OUR NEW ARRIVALS. www.artemano.ca 613.244.5252 32-100 Trainyards Dr. Continued from page 7 plants, shade, outdoor furniture, some Unlike the front yard, the back yard is visual attraction, and a cozy spot that the space you will use the most. Whether oozes comfort. It must feel like a resort it’s planting and tending to your vegetable in some remote tourist destination where garden, lounging in your hot tub, enjoying you can free your mind from all worries. a juicy steak you just grilled on your BBQ Turning your back yard into a private or toasting marshmallows over your fire retreat not only improves the curb appeal pit, the skyHave is the limit. (NC) you ever wanted to increases makethe a resale salad but also valuefrom of your The first step for backyard makeover home. vegetables you grew yourself? Or give a bouquet is to look at the available space, amount If you don’t plan to put in a pool, to your loved one made of fresh flowers picked of sunlight, and other characteristics of decide the main centerpiece for your back from your own garden? is your time to shine the site. Depending on these factors, you Now yard retreat and build the rest around and grow like afeatures. pro with few tipsInto get you can include the desired It can athat feature. most cases your main be a landscaped garden, a fireplace or centrepiece will either be a patio or deck, started: a pool. If you have enough space for a or an aquatic installation such as a pond. ReseaRch swimming it’s a perfect spotbetoashang building a patio or deck the While yourpool, first attempt may not beautiful When as Butchart Gardens in British Columbia, out. Consider consulting an expert to get important the garden size. it can certainly serve as inspiration as you beginmost to visualize howconsideration you would likeisyour atoperfectly for your look. Hopsuitable on the pool web, design take a stroll through your neighbourhood or to head to your local It needs to be big enough accommodate garden store for some creative inspiration. some outdoor furniture and a BBQ, each Turning GaRdeninG GeaRback yard into a backyard oasis takes planning, patience space. an ordinary To be a true gardener, you’ll need a few key items in your wardrobe: The shape of the yard should also of which comes with its own long list of and a budget that won`t break your bank account. Tools • Overalls – There’s a reason traditional Carhartt overallsFILE have PHOTO stayed in style for so long. be taken into consideration. Irregularly possibilities. You’ll need to acquire a few essential tools for preparing the soil/space, for planting your With room for knee pads for extra cushioning and multiple utility pockets, overalls are shaped yards presentmaintenance: design challenges Once you plan the living space you can fessional landscape artist ho will help In simple words, investing in a seeds and for garden essential. but tend to- To be more interesting in from the end. • Gloves protect your hands prickles, andabout dirt, make sure to have some ensure you get a perfect garden or lawn backyard oasis adds value to your home startthorns thinking landscaping. • Footwear – You’ll want to wear shoes that are comfortable and functional. A great sturdy gardening gloves on hand. As of square or rectangular gardens, they The green accent of plants can bring within space. as well as in your life. You are and building a optionthe areavailable Mark’s WindRiver rain boots which come a shorter profile are anti• Hand Trowel – This will act as your best friend when it comes time to plant your seeds, are relatively easy to organize but often together decorative elements of outdoor microbial Other elements conpersonalized outdoor space to keep you yourmay feet want fresh.toNot to mention, they’re easy to hosethat offoozes after aout day excavate weeds and transport items from pots to your garden. lead to wasted spaces in the corners. space, offering that resort-like feeling sider are a hot tub or outdoor spa, an outtranquility and lets you escape anxiety • Wheelbarrow - Investing in a wheelbarrow is a must for gardeners. You’ll likely need to in the dirt. The perfect back yard home. Consider working with a pro-on door and outdoor lighting. stressoutside in no so time. • Sunsound hat – system You’ll likely be spending quite a bitand of time it’s best to protect yourself purchase some gardening soilshould to mix have in with at your ground soil. Having a wheelbarrow hand to help you transport the soil from your vehicle to your garden is gold with a wide brimmed hat in addition to wearing sunscreen. SERVING YOU FOR THE LAST 42 YEARS! 613 749-8000 • www.progressivewaste.com Call now to book your air conditioner maintenance now. Fully Bilingual Service. We service all makes and models. Visit our web site to find the location closest to you! ORLÉANS – The Orléans-Cumberland Community Resource Centre held its annual Volunteer Appreciation Lunch at Boston Pizza on Wednesday, April 10. The event was attended by about 30 volunteers, which is just the tip of the iceberg when you take into account that 269 people volunteered for the Resource Centre in one capacity or another in 2018 contributing a total of 10,689 hours. Volunteers helped out in 12 different OCCRC programs and more than 30 activities – from fundraising events to stocking shelves in the food bank. They also assist staff with the Community Kitchen, in the EarlyON Child and Family Centre and the Christamas Gift Program. “They are the backbone of the organization,” says volunteer program coordinator Rosanne Canzanella. “Without volunteers we wouldn’t exist.” Some of the people have been volunteering with the Resource Centre for over 20 years. To find out how you can lend a hand, visit www.crcoc.ca and click on the Volunteer tab. Rotary Club now accepting nominations for youth awards ORLÉANS – The Rotary Club of Orléans is now accepting nominations for the 5th Annual Young People of Character Awards. Any youth between the age of 14 and 18 can be nominated in 13 different categories Citizenship, Commitment to Excellence, Compassion, Courage, Creativity, Entrepreneurship, Honesty, Integrity, Leadership, Persistence, Positive Attitude, Resilience and Social Responsibility. The young person most be nominated by someone who can attest to their character and is not a relative. The deadline for nominations is April 30. Nomination forms can be downloaded at www.orleansyouthawards.ca. Professional wrestling card returning to Orléans on May 5 ORLÉANS – After a putting on a successful show in front of a sold out audience at the MIFO Cultural Centre on March 31, the Orléans Wrestling Alliance (OWA) is already planning a return engagementt to be held on Sunday, May 5 featuring many of their most popular wrestlers including Lance Law and the Corporate Upstanding Men. The show will also feature the Orléans debut of “Black Eagle” and “The Deranged Sally”. To help get the crowd warmed up, a band from the School of Rock will perform prior to the opening bout and during the intermission, Ring side seats are $25 and general admission is $20 for adults and $15 for youth. Tickets can be ordered by calling 613-880-2999. Look for our 3rd annual Mother’s Day contest in next edition of the Orléans Star ORLÉANS – The Orléans Star is once again running it`s annual Mother’s Day contest whereby kids are invited to write an e-mail about what makes their mother so special. Three $100 gift certificates will be drawn at random from the entries. Each certificate is redeemable at our sponsors place of business. Entries can be submitted beginning May 3.
always buy a pre-owned vehicle, either from the dealer or from a reputable used car lot like Car-On Auto which is the largest used car dealer in Ottawa and offers financing options on all of its vehicles. The advantage of buying a pre-owned car from a dealer rather than an individual is that the dealer will stand behind the sale and offer a limited warranty. Private sales are often “as is”, so buyer beware. Once you buy it you’re stuck with it. So there you have it. When buying a new or pre-owned car do your homework, enjoy the process and happy motoring. *INCLUDES FEES, FREIGHT AND PDI. system; Park Assist Pilot; and retractable rear view mirrors, all for an extra $1,800. There are other option packages as well such as the Climate Package which includes heated windshield wipers; headlight washers; a heated steering wheel and heated rear passenger seats for $1,250. For more information drop by StLaurent Volvo at 1300 Michael St. and test drive the XC40 for yourself. * INCLUDES FREIGHT, PDI AND FEES. PHOTO FOR ILLUSTRATION PURPOSES ONLY. drive modes, allowing for the suspension to go from soft to firm. The all-wheel drive combined with the normal suspension setting is perfect for those snowy Canadian days. The all new Arteon is destined to make a major impact on the mid-size sedan market. You can get your first look at the Arteon at Taylor Creek VW on Trim Road just south of the 174. * INCLUDES FEES, FREIGHT AND PDI. PHOTO FOR ILLUSTRATION PURPOSES ONLY. By Fred Sherwin The Orléans Star ’Tis the season to buy a 2018 Jaguar XE. Jaguar of Ottawa has number of new and pre-owned 2018 XEs remaining on their lot priced as low as $19,000 off the origin-al retail price. The XE is Jaguar’s midsize sports sedan that’s available in three different trim packages – the Premium, the Prestige and the R-Sport. Both the Premium and the Prestige can be purchased with either the 25T turbocharged 2.0-litre four cylinder gas power plant that delivers 247 horsepower, or the 30T which can produce an additional 49 horses. A third engine option is the 20d 2.0-litre four cylinder diesel power plant which produces 180 horsepower but with much better fuel economy. The diesel engine has an EPA rating of 7.8 L/100km in the city compared to 9.8 L/100km for the 25T and 10.7 L/100km for the 30T. Both the Prestige and the Premium can be equipped with either front-wheel drive or all-wheel drive. The R-Sport comes standard with the 35t supercharged 3.0-litre V6 engine that can produce an eye-popping 380 horsepower. diesel powered AWD Prestige with only 4,792 kms for $19,058 off the original retail price of $65,038 and it comes equipped with heated and cooled front seats, heated rear seatsand a long list of safety features. To check out the complete line of new and used 2018 XEs, visit Jaguar of Ottawa at 1300 Michael Street. *INCLUDES FEES, FREIGHT AND PDI. PHOTO FOR ILLUSTRATION PURPOSES ONLY. JAGUAR OTTAWA 1300 Michael St.
We Will Beat Any Competitor Prices! With presentation of their ad. Valid with this coupon only. Expires May 30, 2019. By appointment only. Come in and take advantage of our manufacturer’s rebates and save up to $70 on a set of 4 tires. OUR FACEBOOK PAGE FOR CURRENT DEALS! We write as parents, educators, labour leaders, and taxpayers who are dedicated to protecting and enhancing publicly-funded education. Ontario has built one of the best education systems in the world. It has seen significant improvements resulting in better outcomes for our students and province. On March 15, 2019, the Minister of Education Lisa Thompson, unleashed what Doug Ford and his government are calling their New Vision for Education. Their Plan puts all the advancements we have made at risk. Their Plan is a failure to support and meet the needs of the students of Ontario. It is a decisive move to undervalue our children, their futures and our economic well-being. Their Plan will increase class sizes, directly limiting the time teachers, educators and support staff have to work with your child. Their Plan will force your child to take a minimum of four online courses, further reducing the time your child has to engage with educators and peers. From Full-Day Kindergarten to Grade 12, education is an investment that pays significant dividends down the road with better jobs, higher incomes and a healthier province. The Ford government’s proposed cuts to school boards add an increased burden on the publiclyfunded education system. This means specialized programs like those leading to trades, the arts, special education and other important programs (i.e. International Baccalaureate, Advanced Placement, gifted, and outdoor education) will be at risk of cancellation. Seniors’ Day Our different services: Home Safety Consulting • Companionship Relocation Services • Transport Services Affordable and compassionate help for seniors. Our rates are affordable and depend on your specific service needs. Bilingual services. *65+ with valid ID. Now includes pet food. Excludes livestock & grooming. Cannot be combined with any other offer. In-stock items only. Must be present to receive discount. Cannot be transferred. This isn’t your average open house. It’s the kind that feels just right for you. We hope you’ll join us for a personalized tour to see what life at Portobello is all about. Your kind of open house. Symphony Senior Living, echoes Joan’s belief in the importance of making a decision about retirement living sooner rather than later. The time to “find a home that fits and feels right is before a crisis,” she says. “During crisis, the choice will be taken out of your hands. It will be wherever Joan O’Brien there’s a spot and the fastest place that can take you in,” she says. She sees firsthand the value of seniors having “more access to activities, entertainment and social networking”. Joan stresses that it is not “a sign of weakness” to move into a retirement home. “You can enjoy life without having the burden of owning a home and all that entails.” Future columns will explore the cost of retirement home living compared to staying in one’s own home, as well as the daunting task of downsizing. At Symphony Senior Living Orléans, At LivingAssisted Orléans, “weSymphony care”. WithSenior our Oasis® At Symphony Senior LivingAssisted Orléans, “we care”. With our Oasis® Living Services, we create a care plan “we care”. With our Oasis® Assisted Living Services, we create care as plan based on your exact needs.aAnd life Livingon Services, we create aAnd care as plan based your exact needs. life changes, you can be certain that your based onyou yourcan exact needs. And as life changes, bealways certain your evolving needs will bethat met. changes, you can be certain that your evolving willcan always Find outneeds how we help.be met. evolving willcan always Find outneeds how we help.be met. Find out how we can help. SPRING/SUMMER FASHION SHOW with music by Christine McCann Tuesday, April 30 at 2:00 p.m.
At Forest Valley Terrace, our supportive At Valleyhome Terrace, our supportive andForest enriching environment brings At Forest Valleyhome Terrace, our supportive and enriching environment brings comfort and care to both seniors and and enriching home environment brings comfort and care to both both value seniors and their families. With oriented comfort and care to both value seniors and their families. oriented Assisted LivingWith andboth our engaging and their families. With both value oriented Assisted Living and our engaging memory care program, seniors andand their Assisted Living and ourseniors engaging and memory care program, and families sleep well. Learn more! their memorysleep care program, seniors families well. Learn more!and their families sleep well. Learn more! 613-841-1111 PIZZA SLICES AVAILABLE ANY TIME! 2SM 2MED 2LG 1 topping 17.35 27.90 30.95 *Double cheese not 2 toppings 19.70 29.50 33.55 included as a topping. 3 toppings 21.60 30.90 35.95 Must mention specials Extra topping 1.75 2.25 2.75 when ordering. Specials Extra Cheese 2.75 3.75 4.75 cannot be combined. By Fred Sherwin The Orléans Star A trio of athletes with local roots are about to test there skills at the next level after being selected in the first round of the OHL Under-18 Priority Selection Draft last week. Ryan Stansel was picked ninth overall by the Owen Sound Attach; goaltender Felix Schnell was selected 13th by the Guelph Storm; and Alexandre Frechette, was chosen in the 17th spot by the Soo Greyhounds. All three young men are 16 and from Orléans. They will attend their respective team’s training camps this summer. If they fail to crack the OHL roster they will return to their CCHL teams for next season. In Stansel’s case that’s the Hawkesbury Hawks. In Schnell’s case it’s the Ottawa Jr. Senators and in Frechette’s case it’s the Navan Grads. Stansel scored five goals and added five assists while manning the blue line for the Hawks Midget AAA team this past season. ¤ⱡ2 See dealer for details. Credits vary by model. Dealer may sell for less. Factory order may be required. Limited time offer which may not be combined with certain other offers. Offers may not be redeemed for Cash and may not be combined with certain other consumer offers. ¤ Offer available to qualified retail customers in Canada for vehicles purchased and delivered between April 2 and April 30, 2019. Lease based on suggested retail price of $57,575 including $2,650 Cash Delivery Allowance (tax exclusive) and $1,700 Dealer to Consumer Credit (tax exclusive) towards the lease of an eligible 2019 Next-Generation Sierra 1500 Crew Cab 4x4 Elevation model. Bi-weekly payment is $239 for 24 months at 3.9% lease rate (3.9% APR) on approved credit to qualified retail customers by GM Financial. The $119 weekly payment is calculated by dividing the bi-weekly payments. Payments cannot be made on a weekly basis. Equivalent weekly payments are for informational purposes only. Annual kilometer limit of 20,000 km, $0.16 per excess kilometer. $3,999 down payment required. Payment may vary depending on down payment trade. Total obligation is $16,393. Freight ($1,895) and air conditioning charge ($100, if applicable) included. Taxes, license, insurance, registration and applicable fees, levies, duties and, except in Quebec, dealer fees (all of which may vary by dealer and region) are extra. Option to purchase at lease end is $40,303. ⱡ Offer available to qualified retail customers in Canada for vehicles purchased and delivered between April 2 and April 30, 2019. Lease based on suggested retail price of $38,285/$44,195 including $450/$450 Cash Delivery Allowance (tax exclusive), $1,932/$0 Option Package Discount and $1,500/$1,500 Lease Cash (tax exclusive) towards the lease of an eligible 2019 Terrain SLE 2.0L All-Wheel Drive Black Edition/2019 Terrain Denali All-Wheel Drive model. Bi-weekly payment is $191/$229 for 48/48 months at 1.5%/1.5% lease rate (1.5%/1.5% APR) on approved credit to qualified retail customers by GM Financial. The $95/$114 weekly payment is calculated by dividing the bi-weekly payments. Payments cannot be made on a weekly basis. Equivalent weekly payments are for informational purposes only. Annual kilometer limit of 20,000 km/20,000 km, $0.16/$0.16 per excess kilometer. $0/$0 down payment required. Payment may vary depending on down payment trade. Total obligation is $19,830/$23,783. Freight ($1,895) and air conditioning charge ($100, if applicable) included. Taxes, license, insurance, registration and applicable fees, levies, duties and, except in Quebec, dealer fees (all of which may vary by dealer and region) are extra. Option to purchase at lease end is $16,080/$20,330. 1 Before you buy a vehicle or use it for trailering, carefully review the trailering section of the Owner’s Manual. The weight of passengers, cargo and options or accessories may reduce the amount you can tow. 2 Whichever comes first. Limit of four complimentary Lube-Oil-Filter services intotal. Fluid top-offs, inspections, tire rotations, wheel alignments and balancing, etc., are not covered. Conditions and limitations apply. 3 Whichever comes first. Conditions and limitations apply, see dealer for details. 4 Visit onstar.ca for vehicle availability,coverage maps, details and system limitations. Services and connectivity vary by model and conditions as well as geographical and technical restrictions. 4G LTE service available in select markets. Requires active connected vehicle services and a data plan to access the vehicle’s built-in Wi-Fi hotspot. Accessory Power must be active to use the Wi-Fi hotspot. Data plans provided by AT&T or its local service provider. Credit card is required for purchase.◊ Comparison based on wardsauto.com 2018 Large Light-Duty Pickup segment and latest competitive information available at time of printing. Excludes other GM vehicles. + Before you buy a vehicle or use it for trailering, carefully review the trailering section of the Owner’s Manual. The weight of passengers, cargo and options or accessories may reduce the amount you can tow. ͚ Full functionality requires compatible Bluetooth and smartphone, and USB connectivity for some devices. Data plan rates may apply. Ω At time of posting, detailed map coverage is available for most major urban areas of the United States and for certain metropolitan areas of Canada (Vancouver, Calgary, Edmonton, Winnipeg, Windsor, London, Toronto, Ottawa, Montreal, Quebec City and Halifax). Coverage is significantly limited outside these areas. OPEN YOUR CAMER A. SCAN THE CODE. SEE THE SIERR A IN ACTION. Frechette came up through the Glouester minor hockey system and played for the Gloucester Rangers Minor Peewee AA team before graduating to the Ottawa Jr. 67s Major Peewee AAA team in 2014. He remainRyan Stansel ed with the Jr. 67s until he was drafted 55th overall by the Navan Grads in the 2017 CCHL Protected draft and placed on their AAA midget squad. All three players were passed over in last year’s OHL Priority draft. The Under-18 draft, often referred to as the “second c h a n c e ” draft, was established in 2017 to give midgetage players a second opportunity to move on to the next Alexandre level in light Frechette of the fact that some players develop later than others. Frechette is a perfect example. After scoring just seven goals and 15 assists in minor midget last season, he more than doubled his production this year with 29 goals and 27 assists. That level of offensive output is why the Soo Greyhounds have decided to take a flyer on him. The Guelph Storm have been scouting Schnell for Felix Schnell the better part of the past season. They picked the 6-foot-3, 200 lb. netminder based on his size and his abilities. All three players are hoping to beat the odds and turn their “second chance” into a lengthy stay in the OHL. year’s event. That’s right, the International Cheerleading Union, or ICU, is made up of more than member countries with 4.5 million registered athletes. To find out more about cheering, drop by the Flyers All-Starz Cheer Gym at 1671 Vimont Court and check it out for yourself. YOUR PATHWAY TO THE TOP! COMMUNITY BILLBOARD SATURDAY, APRIL 20 HOP INTO SPRING at the Cumberland Heritage Village Museum, 2940 Old Montreal Rd. in Cumberland Village. Celebrate spring’s arrival and explore vintage Easter traditions from the 1920s and 1930s. Enjoy family-friendly fun with the Easter Bunny Challenge, add a colourful touch to the day with traditional egg dyeing, put your green thumb to the test planting carrot seeds, and more. The Heritage Livestock Club of Eastern Ontario will be bringing some furry, and feathery, visitors along to Hop into Spring. And, you might even catch a glimpse of the Easter Bunny himself! Activities will take place both indoors and outdoors between 10 a.m. and 4 p.m. Please dress for weather conditions. Cost: $19.75 per family (2 adults + children); $7.75 adults; $5.50 seniors, children and students. Children 5 and under are free. For more information visit www.ottawa.ca/museums. with actions that promote the unity and betterment of society. This year’s theme is “Visions of Oneness”. For more info e-mail ottawasoulfood@gmail.com. FRIDAY, MAY 3 CHILD HAVEN INTERNATIONAL hosts its 34th Ottawa Annual Fund Raising Dinner at 6 p.m. at Hellenic Community Centre, 1315 Prince of Wales Dr., Ottawa. Child Haven operates Homes for over 1300 children and assists destitute women and seniors in India, Nepal and Bangladesh. For info and tickets visit www.childhaven.ca or call Pat Dunphy at 613-745-1743. WEDNESDAY, MAY 8 THURSDAY, MAY 9 ANNUAL SPRING BAZAAR at the Résidence Saint-Louis, 879 Hiawatha Park from 9 a.m. to 4 p.m. Monies raised will go to purchase new equipment and articles essential for residential care. The model apartment is open Wed/Thurs/Fri 11am-7pm and Sat/Sun 12pm to 5pm. 150 Whispering Winds Way Apartments Two Bedroom Apartment from $1797 One outdoor parking spot is included * based on 13 month lease! TRP Ready Mix Ltd. is currently recruiting for the positions of READY MIX DRIVERS, VOLUME METRIC MIX DRIVERS and PUMP OPERATOR. past Orleans Blvd. to Bilberry Dr. Turn right at St. Matthew H.S. Weekly Sabbath Services (Saturday) at 1:00 p.m. PLEASE JOIN US FOR ENRICHING MESSAGES AND DISCUSSIONS. Please call or email for location 613-416-1533 or info@gciottawa.ca Interprétation de l’anglais au français disponible sur demande. QUALITY & SERVICE FOR LESS Dan Bisaillon and Elizabeth Sandziuk – helping you take the first and final steps in creating your own piece of paradise. Is Heaven the Reward of the Saints?